Canova Hall opened at The Department Store in September 2017 as an all-day local hangout to eat, drink and hot desk. 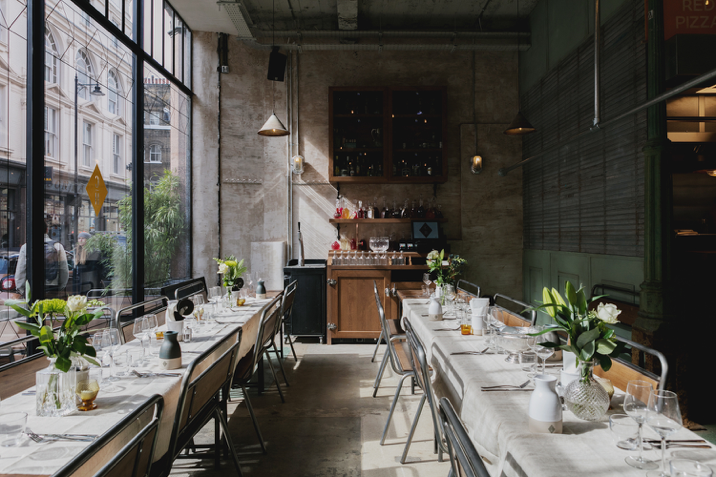 Offering a menu inspired by Italian street food, as well as a gin distillery, the space is split over two floors with additional outside seating. During the day, Canova Hall provides a relaxed workspace environment with free wi-fi and bottomless coffee, serving pizza and sharing dishes, and in the evening transforms its offer with cocktails and late night DJ’s. At weekends, locals can enjoy Brunch from 9.00am.